Pacer™ Curb Pump Hose is designed for use with all types of gasoline dispensing applications where flexibility and a lightweight hose is desired. This hose is designed for use with all types of gasoline dispensing applications where flexibility and a lightweight hose is desired. Made of a high strength rubber compound and tensile synthetic fiber these pump hoses ensure optimum functionality and reliable operations. Continental ContiTech 59501719193904 3/4" x 12' Curb Pump Hose is designed for use with all types of gasoline dispensing applications where flexibility and a lightweight hose is desired. 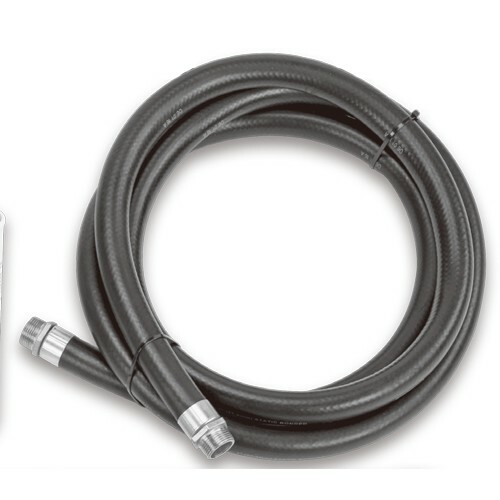 Continental ContiTech 59501719194104 3/4" x 14' Curb Pump Hose is designed for use with all types of gasoline dispensing applications where flexibility and a lightweight hose is desired. Fill-Rite 300F7773 1" x 12' UL Fuel Hose is designed for all types of fuel dispensing applications where flexibility and a lightweight hose is desired. Fill-Rite 700F3135 3/4" x 12' UL Fuel Hose is designed for all types of fuel dispensing applications where flexibility and a lightweight hose is desired. 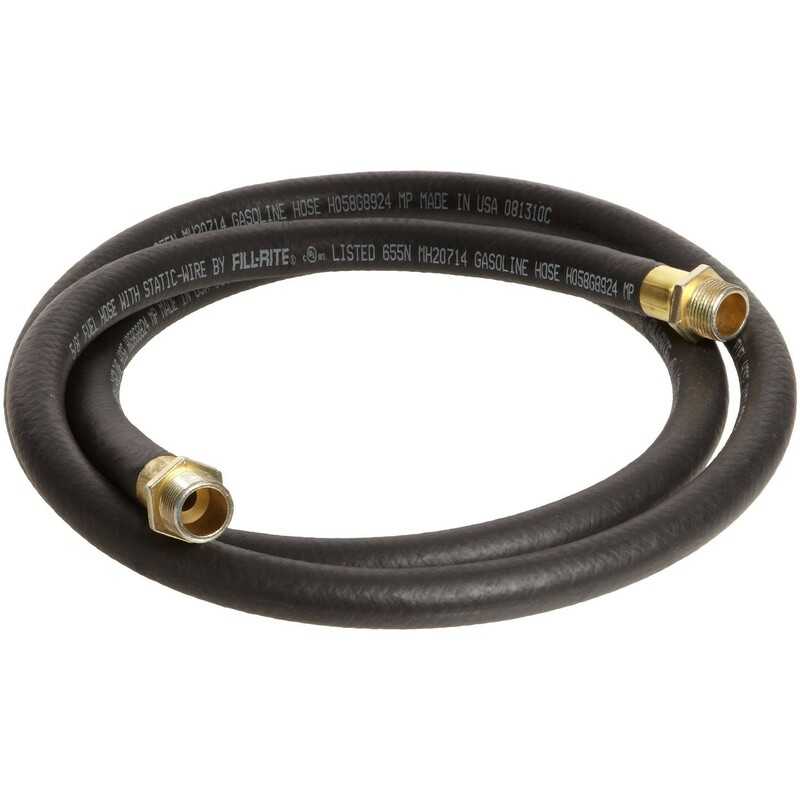 Fill-Rite FRHA07515 3/4" x 15' Retail Static Arctic Hose is designed for all types of fuel dispensing applications. This static arctic hose stays extremely flexible in low temperatures down to -40°F / -40°C. 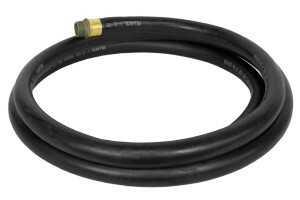 Fill-Rite FRHA10020 1" x 20' Retail Arctic Fuel Transfer Hose is designed for all types of fuel dispensing applications. This arctic hose stays extremely flexible in low temperatures down to -40°F / -40°C. 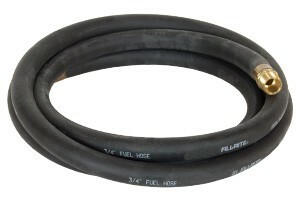 Fill-Rite FRH07512 3/4" x 12' Retail Hose is designed for use with all electric pumps. Dispenses Diesel Fuel, Gasoline, Grease Kerosene and Petroleum Oils. 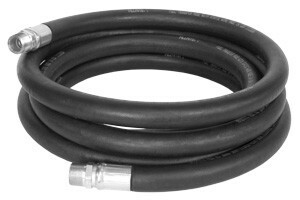 Fill-Rite FRH07514 3/4" x 14' Retail Hose is designed for use with all electric pumps. Dispenses Diesel Fuel, Gasoline, Grease Kerosene and Petroleum Oils. 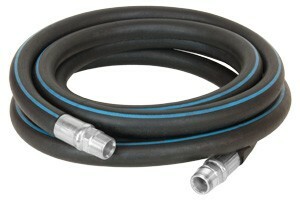 Fill-Rite FRH07520 3/4" x 20' Retail Hose is designed for use with all electric pumps. Dispenses Diesel Fuel, Gasoline, Grease Kerosene and Petroleum Oils. 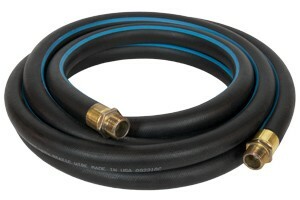 Fill-Rite FRH10012 1" x 12' Retail Hose is designed for use with all electric pumps. Dispenses Diesel Fuel, Gasoline, Grease Kerosene and Petroleum Oils. 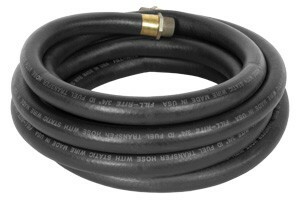 Fill-Rite FRH10014 1" x 14' Retail Hose is designed for use with all electric pumps. Dispenses Diesel Fuel, Gasoline, Grease Kerosene and Petroleum Oils. Fill-Rite FRH10020 1" x 20' Retail Hose is designed for use with all electric pumps. Dispenses Diesel Fuel, Gasoline, Grease Kerosene and Petroleum Oils. Fill-Rite H058G9054 5/8″ x 8′ Unique Large Hose With 3/4″ NPT Thread Fittings is designed for use with all hand pumps. Dispenses Diesel Fuel, Gasoline, Grease Kerosene and Petroleum Oils. This V10CP-144-MRMS 1" x 12' Curb Pump Hose is designed for gasoline, diesel and refined petroleum products at dispensing pump applications. This V58CP-060-MRMS 3/4" x 5' Curb Pump Hose is designed for gasoline, diesel and refined petroleum products at dispensing pump applications. This V58CP-096-MRMS 3/4" x 8' Curb Pump Hose is designed for gasoline, diesel and refined petroleum products at dispensing pump applications. 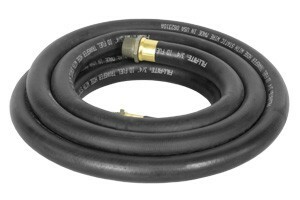 This V58CP-108-MRMS 3/4" x 9' Curb Pump Hose is designed for gasoline, diesel and refined petroleum products at dispensing pump applications. 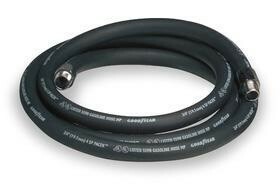 GPI 150100-502 1" NPT x 18' Extreme Temperature Fuel Hose is designed for use with electric pumps. Dispenses Diesel Fuel and Petroleum Oils. 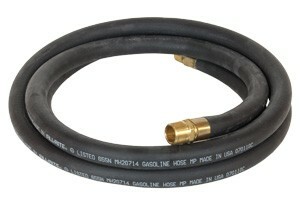 GPI 150100-01 1" NPT x 1" x 18 ft Hose Assembly is used for dispensing fuels, works with fuel pumps. Item# 23 Marked in illustrated parts drawing. Goodyear 3/4" x 75' MXM Pump Hose is designed for use with all types of gasoline dispensing applications where flexibility and a lightweight hose is desired.